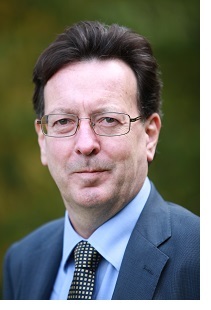 Quentin Compton-Bishop is responsible for research translation and technology transfer at the University of Warwick and manages the University’s spinout equity portfolio. He also is the lead sponsor of the Warwick Enterprise Partnership which supports and promotes enterprise amongst students, staff and the wider university community. Prior to Warwick Ventures, he was a co-founder and CEO of a number of technology start-ups, including P2i and RolaTube Technology, both materials-engineering businesses. His earlier career included business development roles in software, telecommunications and renewable energy companies in California and the UK. 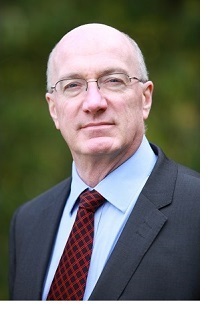 He is a director or board observer of several Warwick spinout companies, UPS Pension Trustee Ltd, an advisory committee member of Mercia Fund Management and of the National Energy Foundation and Chairman of the Levantine Heritage Foundation. Kevin received his BSc in Engineering Science from Warwick before joining Lucas as a Graduate Apprentice. He then moved to the Wolfson Research Laboratories at the Queen Elizabeth Medical Centre, Birmingham to design and develop blood analysers, and became a Chartered Engineer and member of the IEE. After 7 years he progressed to the University of Birmingham as a Lecturer in Electrical and Electronic Engineering having research interests in sensing systems and Automotive Electronics. At this point he gained his MPhil in short range identification systems. He was then asked to set up an Automotive Electronics development department at T&N Plc’s central research facility in Rugby which migrated into a team developing control systems for novel production processes and machine tools. 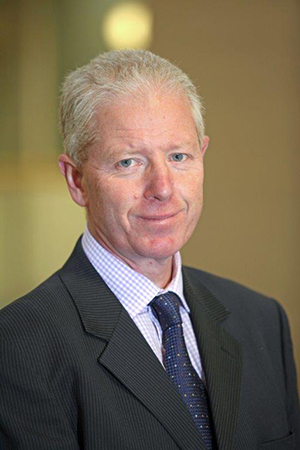 After specialising in Aluminium gravity foundries, Kevin became a chartered foundryman and led the Group’s development programme across 160 manufacturing sites throughout Europe, US and South Africa. Kevin then became Manufacturing Director of Lec Refrigeration plc, who at the time manufactured some 400,000 domestic refrigerators per year. Despite building a new factory and introducing a new environmentally friendly product range, Kevin was finally forced to outsource production to China and close the factory. During this period Kevin successfully completed a Warwick distance-learning MBA and became a fellow of the RSA. Kevin left Lec to join the MBO of the commercial refrigeration trading company Caravell (UK) Ltd. By the middle of 2008 the company was sufficiently viable to be sold to the Austrian trans-national AHT. Kevin joined Warwick Ventures in March 2009. Theresa joined Warwick Ventures in 2016 having completed its Impact Fellow programme in 2015. Following an early career as a physics teacher, Theresa embarked on a BEng in the Special Engineering Programme at Brunel as a mature student, gaining industrial sponsorship for the course with Gillette UK. Her work with Gillette provided broad experience within both the process and design engineering groups, following which, she was awarded the IMechE project prize and a first class degree. With the combination of a physics and engineering background, together with some industrial experience, she undertook a PhD in Experimental Particle Physics. Working in collaboration with a UK crystal manufacturer, Hilger Analytical, she helped to develop and refine production of CsI(Tl) crystals to the exacting specifications of the BaBar particle physics detector at Stanford, USA. As a postdoc, she continued with research on the BaBar experiment at Birmingham University until taking a career break to raise her family. She has been a research associate with the Warwick University Physics Department since 2013, writing articles for the CERN Courier and contributing to various activities in the public understanding of science. Stewart joined Warwick Ventures in October 2017 after 15 years in industry where he held director roles in a series of private and VC backed-companies, leading teams averaging 25 strong. His career has focussed on the management, development and growth of IP-rich high-tech software companies which he has formed, developed and managed through to exit. Areas of specialism include biometrics, computer vision and security. With extensive skills in commercial growth through software licensing, IP protection, joint venture formation, technology transfer and early stage spin-outs creation he now seeks to utilise his skills to generate impact for the University of Warwick. 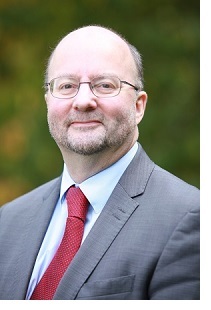 After graduating in Physics, Stewart completed a PhD in Nanomagnetics and Electron Microscopy at the University of Glasgow and followed this up with a position at IBM’s Almaden Institute, San Jose, before returning in 1992 to the UK to join THORN-EMI researchers at their Central Research Laboratory. He has worked on a broad range of technologies and projects: vessel detection systems at THORN-EMI, occupational health smart card systems for the UK’s NHS, covert facial recognition to detect crime and more recently fingerprint identification systems to assist aid delivery to refugees. In 2002 Stewart was awarded an MBA from Cranfield University. 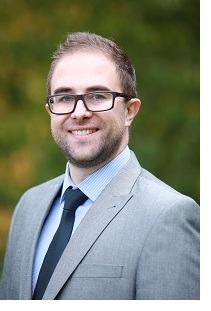 James joined Warwick Ventures in July 2016 following three years as a Senior Licensing & Commercialisation Manager at the University of Leicester, where he focused on pharmaceutical and medical technologies projects. During this time, he was responsible for the completion of six new licenses with a value of ~£9m and for securing >£4m to support translational projects. Previously, James spent four years as a Business Manager at the University of Sheffield’s Healthcare Gateway, where he managed commercialisation projects across the med-tech theme. After graduating with a First in Biology & Chemistry, James completed a PhD in Polymer Biomaterials and Tissue Engineering at the University of Sheffield and, during a subsequent year as an associate Yorkshire Enterprise Fellow, he established a new commercial service, supplying 3D cell culture scaffolds for research applications. James has also held internship positions at ICI Paints plc (now Akzo Nobel), SRM Ltd., Lancaster Communications Ltd. and HGF Ltd. He is a Member of the Royal Society of Chemistry, a Chartered Chemist and a Registered PRINCE-2 practitioner. After receiving her BSc in Chemistry from the University of Bradford, Charmaine began her career working as an analytical chemist in manufacturing. She then joined Procter and Gamble’s R&D organisation, translating technical innovations into new commercial products for well-known brands such as Fairy, Ariel and Cascade in Europe and North America. In 2006 Charmaine was awarded a WBS scholarship to complete an MBA at Warwick leading to her joining GE’s Experienced Commercial Leadership Program designed to accelerate the development of business leaders. She went on to launch the Metabolic Health business unit for GE Healthcare, bringing new ways to visualise body composition to athletes and obesity specialists. This was followed by Charmaine leading the marketing and product innovation strategy for GE Healthcare’s X-ray technologies to grow its business in China, Brazil and other emerging markets. An experienced trainer, coach and mentor Charmaine left GE in 2014 to become a marketing and strategy consultant for community and disability charities whilst starting up her own local bespoke jewellery business which in August 2017 won a Theo Paphitis Small Business Sunday award. After her BSc in Chemistry (Wales), Shum read for her PhD in Biochemistry (Kent) and undertook R&D with Nihon Medi-Physics Co. Ltd and Johnson Matthey Plc to develop radiopharmaceutical drugs for cancer therapy and brain diagnosis. 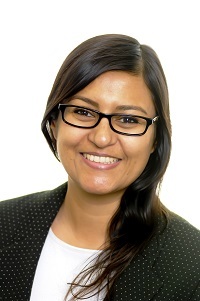 After her MSc in Science and Technology Policy (Sussex) and research fellowship in Innovation Policy at Canterbury Business School, Shum influenced UK and European policy through consultancy projects at SQW Ltd, Technopolis Ltd, and at the European Parliament. 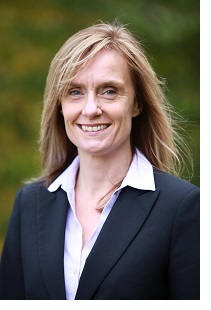 She joined Warwick Ventures in December 2001 as a Business Development Manager where she also managed the inaugural year of the HEIF funded Midlands Medici Programme at Warwick and led the DTI funded Mercia Biotech BEP (Biotechnology Exploitation Platform) Programme. Whilst at Warwick, Shum has successfully completed her MBA (Warwick) for which she was awarded a Sainsbury Management Fellowship. Shum has taken a broad range of technologies from concept to royalty generating commercial licenses and to trading spin off companies. After PhD research on DNA fingerprinting at Cardiff University, Brendan embarked on a career in software sales and marketing, working for a range of blue chip companies, including New Brunswick Scientific, Pharmacia Biotech, PDI and Computer Associates. From 2000, he turned his attention to business development, building substantial sales pipelines for a number of start-up companies. More recently Brendan has moved into the field of technology commercialisation, becoming a Senior Technology Transfer Manager at Isis Innovation, the University of Oxford’s technology transfer company. Suzanna was formerly a Consultant at Isis Enterprise, the consulting arm of the University of Oxford’s technology transfer company, Isis Innovation Ltd. There she worked with a number of UK and international universities and government organisations to help them commercialise academic inventions. After a period working as a Postdoctoral Scientist at the University of London, Suzanna left academia to pursue a career in sales. She has established a long track record working in a variety of sales roles within the biotech industry. 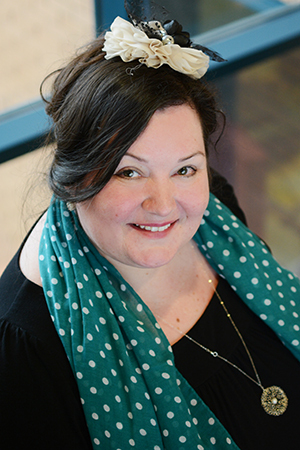 Prior to her appointment at Isis she worked as the UK Product Manager at MWG Biotech and later as the Key Account Manager in the UK for Proligo, both multinational biotech companies. 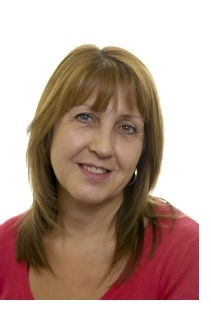 Corine is an AAT qualified accountant with over 13 years financial experience. Having joined the University in 2000 in accounts payable got to know SAP well. 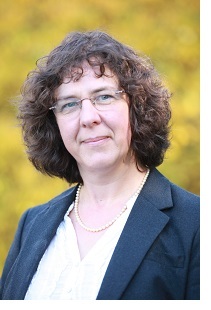 She moved to Warwick Ventures in 2005 Managing customers and vendor queries, preparation of management accounts and Maintenance of balance sheet accounts. Corine's role further covers management of approximately 30 live spin out files and associated documentation including share certificates and storage of legal documentation.